Hajj is the fifth pillar of Islam and is obligatory to every Muslim, male or female, provided he/she is physically and financially able to do so at least once in their lifetime. 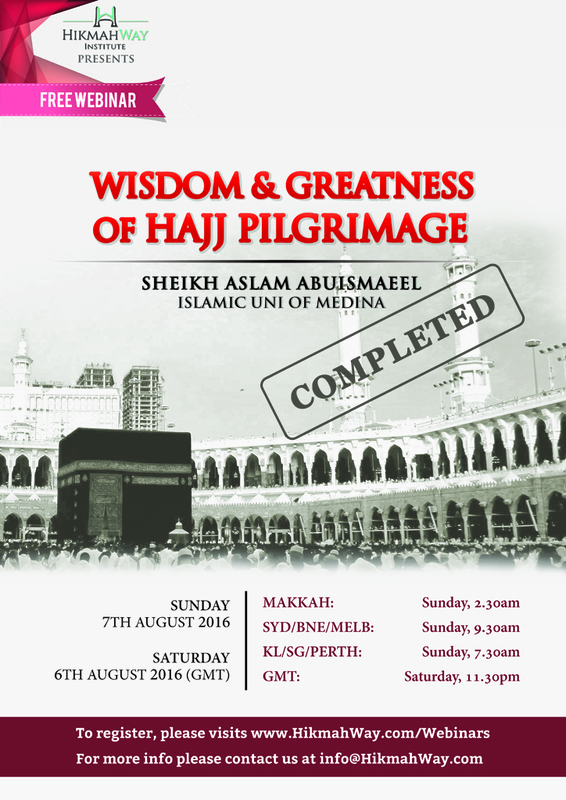 What is the wisdom and greatness of Hajj perform by more than a million people every year? With his broad exposure experience of Knowledge in religion by Academic Fiqh education from Uni of Medinah and 2 decades of community work in Australia, Sheikh Aslam AbuIsmaeel will be presenting this webinar. [ENDED] – Divine Books of the Past Prophet, What happened to Them?